You know you shouldn’t do it, but there’s just something about a juicy burger that makes even the most resolute calorie counter fall off the wagon every now and again. And if you’re going to go for it, might as well go big. Following are a few of our favorite diet busters, burger style. The Widow Maker at Collie’s Sports Bar & Grill is exactly as advertised. 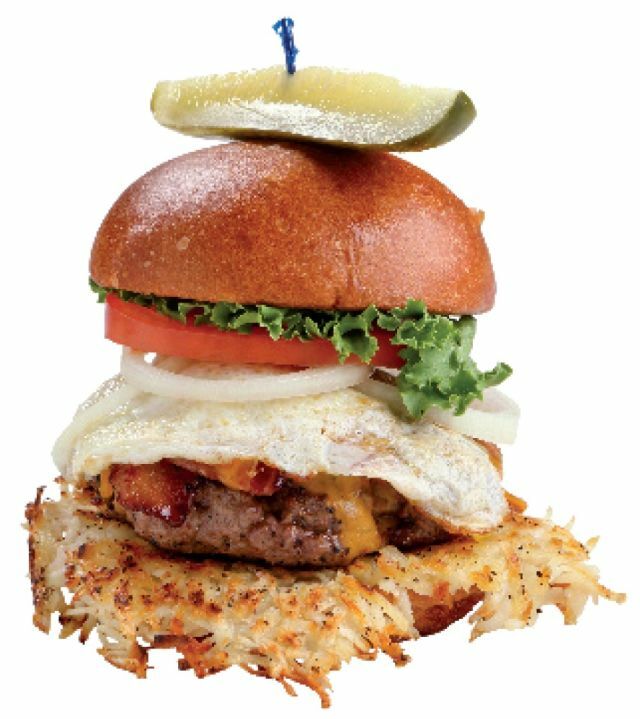 Chef Rob Holt tops a fresh-ground beef patty with applewood smoked bacon, cheddar cheese, hash browns, and a fried egg and serves it on a fresh Stone Ground Bakery brioche bun. An ideal accompaniment to an afternoon on one of Collie’s decks overlooking Main Street, or while watching the game inside. The Lux burger at Montage Deer Valley’s Burgers & Bourbon is served with over-the-top gourmand-pleasing truffles, foie gras, bourbon-caramelized onions, and arugula—all served atop a butcher’s ground beef–blend patty on a Salt Lake City’s Pierre Country Bakery bun. Sample one this summer at Burgers & Bourbon’s Blues Nights, Wednesdays, 5:30 to 10 p.m.
For those days when you’re feeling not quite as indulgent, the Chef’s Veggie Burger at Squatters is satisfying sans the hefty calorie count. This burger is made in-house with roasted veggies, garbanzo beans, rice, and oats, and topped with avocado and hummus on an ale-infused spent-grain bun. And since no one should be expected to be 100 percent virtuous, go ahead and get it with Squatters’ onion rings and a pint of Full Suspension Pale Ale. This secret of the Silver Star Cafe's Smoked Mushroom Burger is in the meat: the half-pound patty is made with a signature blend of chuck, short rib, and hangar steak. The patty's is then smashed, seared, and served on a lovely toasted bun with a smoked portabella mushroom, Swiss cheese, and caramelized onion marmalade. Dee-lish! (Vegetarians can sub the house-made quinoa and black bean patty) Add the optional bacon. Definitely. No roundup of Park City’s best burgers would be complete without a nod to No Name Saloon’s “burgerlicious nine napkin” Saloon Burger. 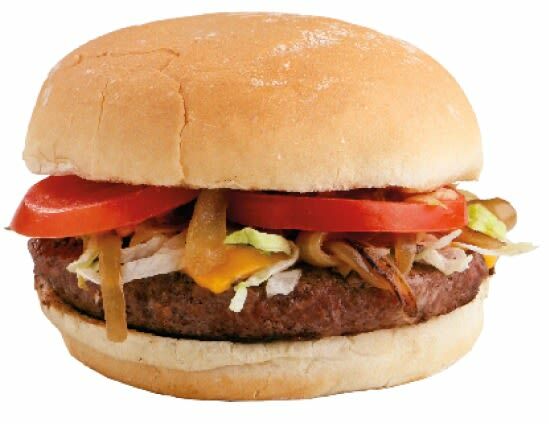 Only the freshest buffalo meat is used to make the hand-packed patty, which is then topped with grilled onions, cheese, tomato, shredded lettuce, and mayo on a fresh bakery bun. And all No Name burgers are served with house-made buffalo chips and salsa.